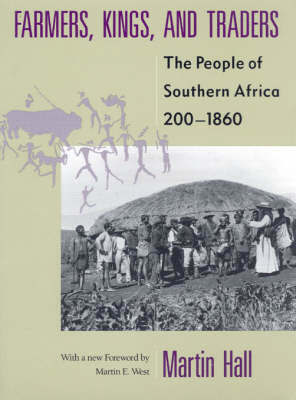 In this overview of the origins and development of black societies in southern Africa, Martin Hall reconstructs the region's past by throughly examining both the archaeological and the historical records. Beginning with the gradual southward movement of the earliest farmers nearly two thousand years ago, Hall tracks the emergence of precolonial states such as Mapungubwe and Great Zimbabwe. Farmers, Kings, and Traders concludes with the devastating effects of colonialism. Through a close reading of the accounts of early travelers, colonialists, archaeologists, and historians, Hall places in context the often contradictory histories that have been written of this region. The result is an illuminating look at how ideas about the past have themselves changed over time. Edition: Univ of Chicago PR ed.